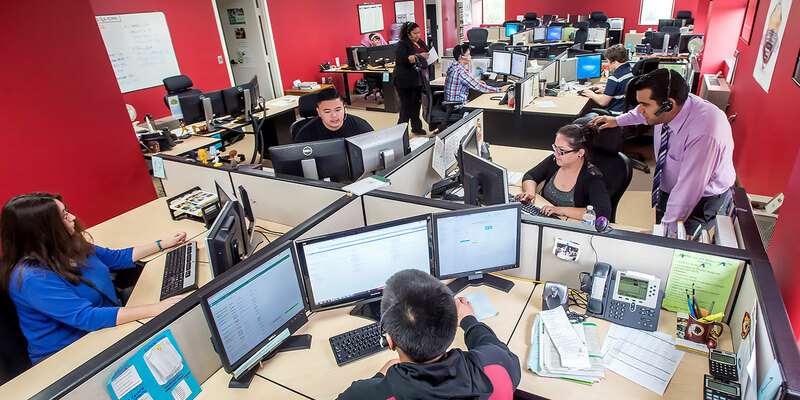 The College Call Center is the information hub for all NOVA campuses and centers. It serves as a point of contact for students, parents, staff, faculty and the community. In recognition of outstanding efficiency and effectiveness, the Call Center has been designated a Certified Center of Excellence by Purdue University’s Center for Customer-Driven Quality. Tuesday through Friday 8:30 a.m. - 5:00 p.m.
Extended Online Chat service: Tuesday through Thursday 5:00 p.m. – 7:00 p.m. The Call Center is a multi-channel contact center. Live online chat service is available during Call Center hours. Call Center representatives respond in real time; the initial average response time is 30 seconds. Online chat offers customers a quick and alternate way to communicate with the Call Center without sacrificing quality of service. Inbound phone calls are answered by representatives during Call Center hours. Call Center representatives are equipped to navigate the College website, Student Information System and other applications to effectively assist callers on the phone. Our goal is to respond to every inquiry received during business hours within 4 hours or less during non-peak periods and within 8 hours during peak registration periods. This option is frequently used by international students. Use our online form to send us comments or email us at information@nvcc.edu. Many commonly asked questions can be found on the FAQ page. You can also use our Search Knowledge Base option for information and answers to frequently and previously asked questions.